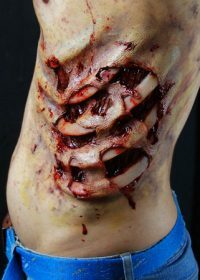 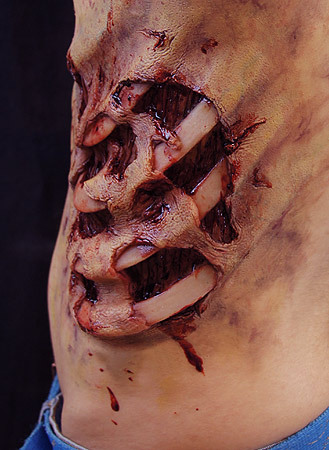 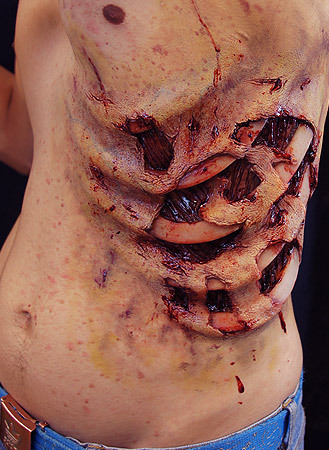 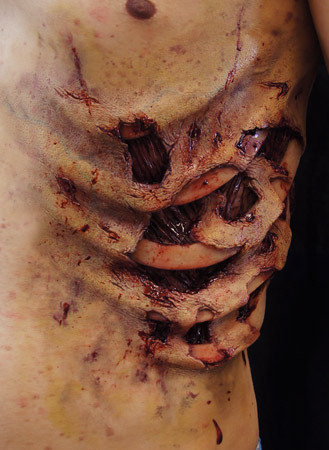 Our Zombie Rib Cage Prosthetic is an incredibly detailed appliance showing exposed ribs and muscle under torn flesh. 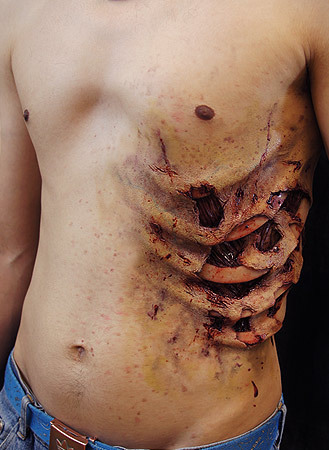 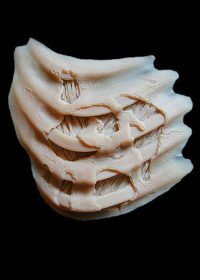 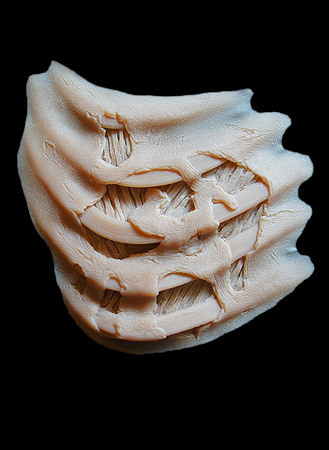 This piece would look amazing applied to the torso with a torn t-shirt on top revealing the prosthetic, and is a great way to complete a full body zombie look. 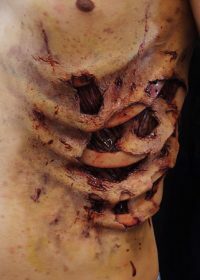 For an ideal application of this piece, we recommend using our NimbaFix Silicone Prosthetic Adhesive for a super strong bond.